Mind-wandering is a symptom for a wide variety of things— ADHD, depression, intoxication, introspection, etc.— and I’d like to explore ways of measuring it as a biometric. An easy indicator for it is blinking: the more you blink, the more distracted you are. 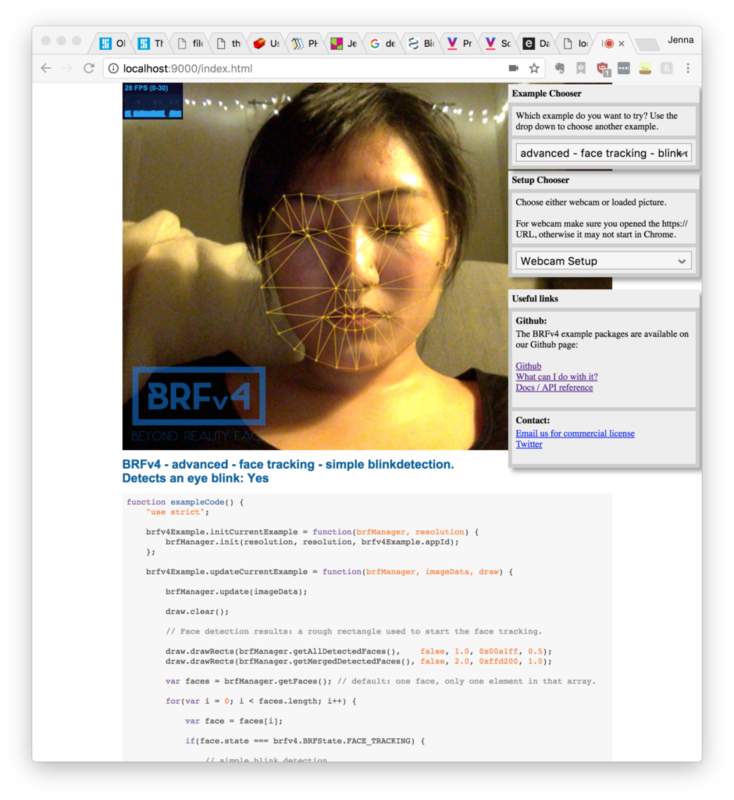 Conveniently, I’ve been meaning to play around with the “Beyond Reality Face” tracker, which includes a js library for blink detection. It was incredibly accurate, as well as an incredible workout for my browser. While I read aloud, I blinked 89 times in about 13 minutes, which is an average rate of 7 blinks per minute. While I read silently, I blinked 118 times in about 11 minutes; an average of 11 blinks per minute. A quick Google search suggests that the average is 15-20 times per minute, so perhaps I’m not as scatterbrained as I thought!